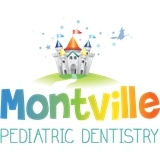 Montville Pediatric Dentistry (Montville) - Book Appointment Online! My son was very nervous going in, he walked out saying he can't wait to go back. It was a wonderful experience.